Every company, small or large, needs to have a strategic plan outlining their business’s efforts for the economic turnaround. During the coming period of economic growth, every company should have a defined set of goals to reach and indicators to watch as the economy starts to grow again. The addition of an employee is an increase to ongoing payroll expense and will require the company to increase profits at the same time to cover the new expense. Before adding to payroll costs, the business’s management should consider outsourcing services, activities, and positions. Temporary labor is a great option before adding head count in both clerical and production positions. As the company reaches higher levels of business activity, temporary employees can be used to fill labor needs in a functional area that may require a full-time employee in the future. A second option may be adding several part-time employees until the work level requires the job function to be filled with a full-time employee. For higher-level positions or major projects, consider using consultants versus adding a high level full-time position to the head count. The use of consultants will allow for flexibility to quickly start and ramp up major projects the company is considering. In addition, at the end of the project or assignment, the company can stop the expense, which lowers operations expense going forward. Consultants can be used to outsource projects of a defined nature and time, while limiting the long-term financial exposure of the company. Though short-term labor costs may be higher, the use of temporary labor and consultants will allow the business to evaluate the labor needs of the company. Later, when sales volumes and profits are higher, consider increasing the head count to support the continued growth and needs of the business moving forward. Businesses need to make sure that they have secured adequate sources of working capital as the economy starts to grow. Access to sources of working capital still remains tight, but it is better to start the process of securing working capital now, before the business actually needs the funds, than to proceed and find out that the company will be unable to obtain capital funding. As the economy starts to improve and your business starts selling more products and services, there will be the need to increase inventory, fund accounts receivable, and purchase capital equipment. These business activities require increased uses of cash resources, which the business may be able to self-fund through its current operations for a period of time. If the company has already secured sources of working capital, such as an operating line of credit or pre-approved term loans for capital equipment, as the business’s cash resources become tight the company will be able to support the new levels of business activity with the outside sources of capital. As the economic turnaround takes hold, businesses will need to be concerned about inflation. Higher demand for materials such as basic commodities used in your company’s manufacturing, or the unavailability of lower-cost labor will cause the business’s production and administrative costs to increase. The business needs to have a product pricing strategy for new products and services and for products that are nearing the end of their product life cycle. A realistic pricing strategy for a company is to set a target range for gross margin. Then, as permanent manufacturing costs increase and gross margin drops out of the required target range, the sales price of the product or service needs to be increased. 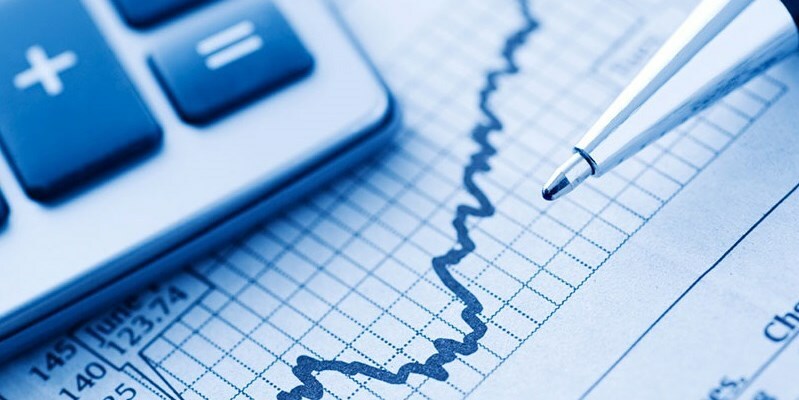 Administrative expenses can be pegged to a percent of net sales, which can provide an objective way of monitoring and controlling administrative expenses of the business. Though there will be temporary changes in both gross margin and administrative expenses, by knowing these target levels management will find it easier to react to unfavorable changes quickly before negative trends become major problems. Businesses need to have an appropriate customer relationship plan prepared and in place as the economic turnaround starts. Retain and reward customers who have stayed with the company during the economic downturn. The company may need to consider offering these customers improved terms on their purchases, improved volume discounts, or special one-time deals as a way of showing that the company appreciates their business. The company also needs to have a plan on how to get low-activity customers to start purchasing from the company versus the competition. This too may include improved terms on purchases, improved volume discounts, or special one-time deals, though these customers need to be monitored closely to ensure that they are good credit risks. This is also the time for company to consider terminating business relationships with problem and high credit risk customers. When a company removes problem customers it allows the business to focus its efforts on providing better quality services and products to customers that value the joint business relationship. Internal (organic) growth is great when the business environment is stable and there is plenty of time to further develop the company’s product and service offerings. The economic downturn has taken its toll on many business’s finances, and has created lower business values in the marketplace. During this time, while overall business valuations are lower, consider making an acquisition to fill out your company’s product or service offering or even enter into a new area of business. The key for any company is to acquire product or service lines or business units that will support your company’s strategic position to increase market share, liquidity, and profitability now and into future. This may also be the time that the business should consider selling non-strategic product lines or business units. Though the company may receive a low sales price for the product line or business unit it is divesting, the sale of the asset will provide a source of cash to the company and allow the management to focus efforts on growing the viable areas of the business. A company that has a plan for its business as the economic turnaround is happening will be prepared to meet both the needs of the business and its customers. Businesses need to control fixed and variable expenses during an economic recovery to ensure the successful growth, profitability and liquidity of the company well in to the future. Businesses need to be able to take advantage of the economic turnaround by planning for it today. The Siburg Company, LLC is a boutique consulting firm specializing in the areas of financial and operational consulting, business development, and mergers and acquisitions.